Hector Tobar on ‘The 33’ Chilean miners who spent sixty-nine days trapped underground. When a block of bluish gray diorite the size of a 45-story building—a megabloque—trapped thirty-three miners inside the San José Mine in northern Chile on the morning of August 5, 2010, the accident was not entirely unexpected. The 121-year-old mine—located on the fringes of the Atacama Desert in Chile, arguably the driest desert in the world—had recently been temporarily closed in the wake of a fatal mishap, and more immediately, had been rumbling and groaning throughout that fateful morning. But despite the warning signs, the San Esteban Mining Company did not close the mine—or address egregious safety violations. So when the mine collapsed there was not even enough food to feed twenty-five men for two days—the minimum emergency supply, as required by law. In fact, there was little more than eighteen cans of tuna and ninety-three packages of Cartoons brand cookies (four chocolate- or lemon-flavored sandwich creams to a package), along with ten liters of fresh water. There was also no emergency escape route, as the mine’s ventilation shafts lacked ladders that might have allowed the workers to climb out. Against all odds, though, the thirty-three miners survived for seventeen days—before rescuers reached them through a newly-drilled hole just six inches wide—by rationing the meager food supply and drinking industrial waste water. Then it took another fifty-two days before they could be extricated through a wider hole, by which point the entire world was riveted by the miners’ saga. 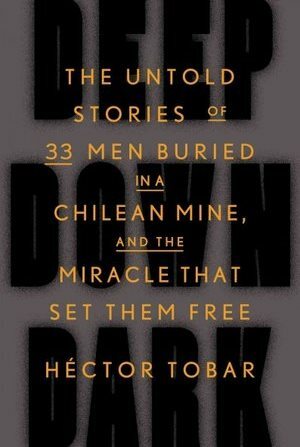 In the following Failure Interview, journalist/novelist Hector Tobar, author of “Deep Down Dark: The Untold Stories of 33 Men Buried in a Chilean Mine, and the Miracle That Set Them Free” (FSG), discusses the drama that unfolded underground, along with several post-rescue developments. From a media perspective, the most notable development is the production of major motion picture—The 33, starring Antonio Banderas and Juliette Binoche—which is slated for release in 2015. How were you selected to be the writer who the thirty-three miners would tell their story to? My agent called and asked if I would be interested in telling the story. Unbeknownst to me the miners had made a pact to tell their story to just one person, and a series of contacts led them to the biggest law firm in Chile and eventually to William Morris Endeavor. 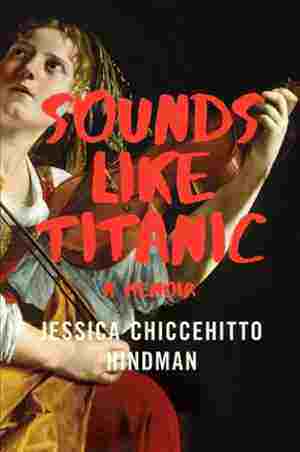 There had been several books that had been written that were quick-and-dirty and did not involve the miners in any way—or in a very limited way—and it was decided that they needed a work that was more literary. They were looking for someone who was a novelist and a journalist and spoke Spanish. I fit the bill. Did you visit any mines to get a feel for the dark, hot, and humid conditions you would be writing about? I did. I was fortunate to be invited to visit a mine that was near the San José Mine and went a couple hundred meters down into the ground. Our group had headlamps and then we were asked to turn them off to experience complete darkness, which it was very illuminating, no pun intended. It gave me a very physical, personal sense for what it’s like to work underground. The San José Mine had a reputation for being very dangerous. Why did miners choose to work there? I understand many of them commuted from Copiapó, thirty-five miles away, and some had much longer commutes. Because it was a dangerous mine it paid relatively well [a minimum of $1,200 per month, three times the minimum wage in Chile], and also many of the men who worked there couldn’t get jobs elsewhere. They were older, and the mining industry favors younger people because the work is so demanding. They were misfits and individuals who didn’t have access to jobs that paid as well. In the hours and days before the mine collapsed, the miners noted that the mine was “weeping” a lot—that the thundering wailing sounds inside the mine were unusually intense. It sounds as if the miners were very nervous in the days and hours before the collapse. Why didn’t they stop working? Because mining always involves dangers and part of your identity as a man and a miner is that you face the dangers. But a lot of the men were dropping hints to their wives—some of them said specifically that the mine was weeping a lot, but others would use euphemisms like “the mine is ‘complicated.’” One miner, Mario Sepulveda, complained very loudly to his family about the conditions in the mine and his daughter actually had an emotional breakdown even before he was trapped. She had a series of dreams in which he was dead in her dreams. Where and why did the mine fail? It was simply overexploited—tapped out—not of the minerals, but of the structure that held it together. After over 120 years of removing the ore there were huge empty spaces inside the mountain—like Swiss cheese—and the upper layers of the mountain collapsed. In terms of preparing for an emergency, the mine owners seem to have been thoughtless. Why was there so little food in the emergency supplies? They were thoughtless; there is no other way to put it. But that mine survived by cutting corners. And the lack of food wasn’t even the most outrageous thing. There were no alternative escape routes. In addition to the ramp—the spiral highway that goes down to the mine, which I describe in the book—there were vertical tunnels called chimneys that provided ventilation and contained electrical cables. Those chimneys should have been outfitted with ladders, to be used in case the ramp failed. Those ladders were not in place throughout. In fact, the men were able to climb up part of one chimney, but when they came to the next level there were no ladders. So there was a great deal of carelessness. It had a lot to do with the fact that the owners were constantly in debt. After the rescue, what did the miners have to say about the lack of food and water and viable escape route? The miners had lots of things to say about the owners and general managers, who became pariahs in northern Chile. Some of the miners testified at hearings before the Chilean Congress, and Jorge Galleguillos, who I highlight in the book as one of the older miners and a whistleblower, spoke about his interactions with the mine owners. Were the owners of the mine and the leaders of Chile’s mining regulatory agency punished? In Chile, private citizens can request criminal investigations and can petition for criminal charges. The miners did so, but there were no criminal charges brought against the owners [Marcelo Kemeny and Alejandro Bohn], even though a Congressional committee found them to be responsible. There is a civil suit that is pending. But the three top officials in the national mining agency were fired even before the men were rescued. And this agency, it is my understanding, has been ramped up and is doing a much better job than before. What was the most frustrating issue that the miners had to deal with during the sixty-nine days they were trapped? Well, after the first seventeen days they ran out of food and many of them felt that they were going to starve to death and live their remaining days with the knowledge that they were leaving their families without providers. That was an emotionally difficult thing for them to go through. And they were losing a tremendous amount of weight. When they were tested [after being discovered] more than half were found to be in the initial stages of kidney failure, caused by starvation. Also, after the mine collapsed it continued to rumble for days afterwards. Many of the men described that as torture. Once the miners were discovered, what was the greatest risk to their survival? First, it was important that they not be fed too quickly because that can cause all kinds of adverse reactions. If someone is starving to death and you feed them too much you can kill them. The initial food that was sent down to the men was glucose [packets] and then very small portions of food. They worked their way up to 500 calories and then 1,000 calories. Then later, large amounts of water were flowing into the mine [used with the drills] and that created an outbreak of fungus on the mine’s walls. The fungus began to fall down and infect the men with horrible skin infections that had to be treated with creams sent from the surface. What was the most frustrating thing for the rescuers? At first it was very difficult to find the miners. They were drilling 4.5-inch and six-inch diameter holes to try and find them, aiming in the general direction of the corridors where they believed the men were trapped or could be found. And they kept missing. It’s a very difficult thing drilling through two-thousand feet of rock and trying to hit a space that is about as big as your average American classroom. What happens is as you’re drilling, the drill bit is at the end of a series of interconnected steel tubes. Those tubes weigh a lot and start to bend, but you cannot predict in which direction. So finding them was an element of luck. And then once they found the miners, getting them out meant drilling a 25-inch diameter hole through two-thousand feet of rock. A rescue hole that wide and that deep had never been done before in the history of mining. The other thing the rescuers had to deal with is that the miners were irascible, irritable, and desperate. They did not sign up for a mission to the center of the earth, but that’s what they were on. One of the rescuers was a psychologist who had a lot of experience in the mining industry. It was his job to keep the men in a level frame of mind until they could be pulled out. Is it true that the day of the accident was the first day underground for one of the workers? Yes, that’s Carlos Mamani. He was a Bolivian immigrant and his dream had been to have a job that was technical. He had many, many odds jobs as a laborer and had gone to school at night to learn how to operate a front loader, but couldn’t get a job because there is a lot of discrimination in Chile against Bolivians. This particular mine, where no one else wanted to work, finally gave Carlos the chance to operate a front loader and he was very excited. It was his first day on the job and he actually forgot his headlamp in the dressing room on the surface. They told him not to worry about it, that he could get it at lunchtime. Of course, he never got the chance to go up at lunch. So not only was it his first day at work and not only was he in the dark and at the mercy of others to provide him with light, he didn’t know anyone. So he went through a rough time and was quiet for a long time because all the other guys seemed to know each other. Eventually one of the other miners stood up and said, ‘Down here you are not a Bolivian. You are Chilean like the rest of us.’ And they accepted him into the fold. I understand that after the accident that [Chilean] President [Sebastián] Piñera made a habit of pulling out the ‘We are 33’ note—the piece of paper the miners sent up to the surface to relay the message that all thirty-three men were alive—at every public event for a long time afterward. It was a ready-to-order line in a presidential speech. The government had marshaled all these resources and coordinated all the best drillers and mining people from all over the world and brought in equipment from the United States and Canada and Italy and Germany. And the government was very proud of the rescue effort and President Piñera used it as a metaphor for what he wanted to accomplish, because his government was a new government. The thinking was that the administration would go on to do more great things on behalf of working people. And so the government very often hosted events in which they asked the miners to appear. It was something that initially made President Piñera very popular but soon the magic began to wear off and Chile got tired of the government using the miners in an increasingly political way. Are you surprised that the miners were able to keep their pact to tell their story to just one journalist? I’m a little surprised, but there’s peer pressure. There’s loyalty to the group, and having been through something like this you feel a certain brotherhood. Having said that, many of the men do give speeches and talks, and they are allowed to do that according to the terms of the pact. But many of the men have never spoken publicly and my book is their first chance to talk about what happened. It was a wonderful honor for me to be the one who was granted access to tell their story and I was given the freedom by my publisher to tell the story not just as a “exclusive chronicle” but as a work of art, and to try and use the tools of literary nonfiction to arrive closer to the full truth of what happened and convey the incredible emotions that the men lived. 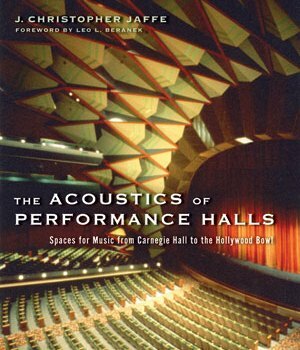 The Acoustics of Performance Halls—J. Christopher Jaffe on how dissatisfaction with a single high-profile venue ushered in a revolution in concert hall design.